After more than a decade of lobbying, inter-organisation planning, couple of false starts and some general hubris, the Gipps Street Steps in Abbotsford are planned to be redeveloped by Parks Victoria into an accessible ramp for all path users. Parks Victoria is currently developing a range of options to replace the Gipps Street steps on the Main Yarra Trail in Abbotsford. 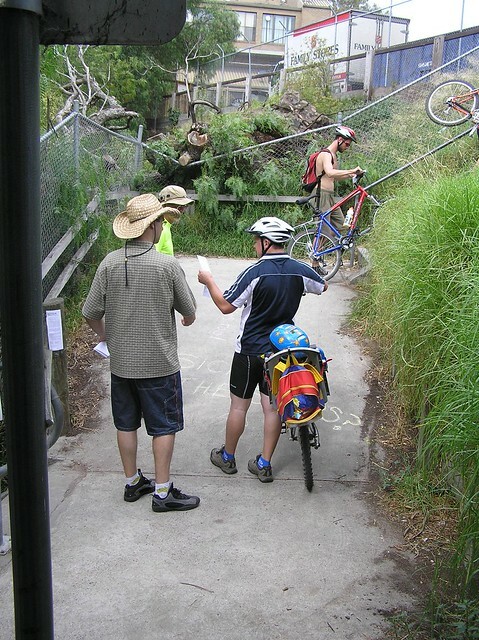 The existing concrete steps inhibit people with prams, cyclists and those with limited mobility accessing this section of the Main Yarra Trail. Parks Victoria is currently consulting adjoining land owners, local residents and other key stakeholders to discuss design options before the detailed design is finalised. Following consultation, Parks Victoria will finalise the design and apply to the City of Yarra for a planning permit to build the proposed access ramp. If you would like more information about this project please email gippsstramp@parks.vic.gov.au or phone 13 1963.